Building and managing a website is a hobby, over the years, making websites got more complicated and more technologies, knowledge and wisdom are required. I started building my first website around 1997. It started out with a static site built with FrontPage, a WYSIWYG HTML editor. A few years later it was time for the first content management system, I looked at Joomla but settled for MediaWiki. I run those websites for 2 years on the MediaWiki platform and then moved on to WordPress. WordPress was good, it did a good job but over time, it became more complicated to make something out of the box, if it's not a blog, it becomes complicated and to have a feature rich website requires a lot of plugins. Little by little it became less fun and more and more hassle juggling the various plugins. In 2014 I became interested in learning PHP programming, I wanted to do this already for many years, but never had enough time to bite the bullet and work my way through the basics. At the end of the courses I though and now what have I learned, how to put this into action? To built modern website with PHP only is difficult, it also requires knowledge of html, MySQL, CSS, java-script etc. I started looking for a framework experimented a little with CakePHP and then came across Processwire via a CMS Critic blog post. I developed the acniti website on a Linux Ubuntu 16, with PHP 7 and MySQL as the development server. For the IDE I use PhpStorm, before using Storm I have used and tried some other IDE's such as Zend, Eclipse, Netbeans, Aptana but none of them I liked, some were feature poor, Zend and Eclipse were slow and use a lot of memory. PhpStorm not free but definitely worth the investment. I make use of the free tier Git repository of AWS called CodeCommit, I still use GIT Cola to commit the changes, I could also use PhpStorm for this but I never took the time to change my workflow. For project management I am a big fan of Redmine, Redmine is a web-based open-source project management and issue tracking tool. I use this also for my other work so it easily integrates with the website building flow as well. It's easy for maintaining lists of features you want to carry out per version, it supports a wiki which is easy for making notes and keeping a log of the activities. I use it everyday and it runs on Ruby. For images and graphics I switch back to Windows for some Photoshop. The acniti website runs on the latest stable Processwire version at the time of writing 3.0.62, the website has 4 languages including an Asian language. The Japanese language URL's are implemented with their 3 alphabets kanji, hiragana, katakana i.e. https://www.acniti.com/ja/インレットフィルタ. Some images on the site have text and image language tags help to select the correct language, the Processwire blog post from 30 June was helpful to get this running. 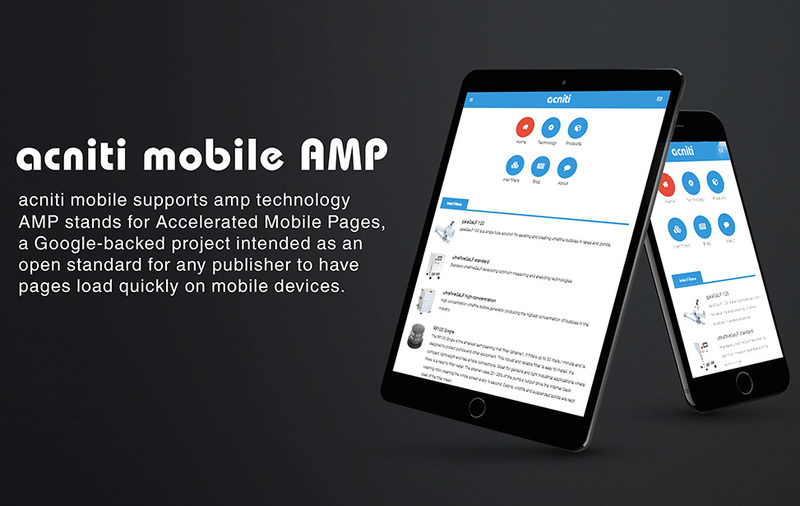 The main site has a bootstrap theme, for the mobile version of the site the google AMP specification is implemented. This was really fun to do but challenging at times as the AMP specification is still a little limited. To visit the AMP pages type /amp/ behind any URL like https://www.acniti.com/amp/ for the homepage. The Google webmaster portal is really easy to troubleshoot and check for the correct AMP implementation. Finally structured data according to schema.org is added to the site via the JSON-LD markup. The commercial modules ProCache and Formbuilder are installed. The ProCache module is really amazing and makes the website lightning fast. Besides the commercial modules around eleven open-source modules are used, Database Backups, Tracy Debugger, Wire Mail SMTP, Protected Mode, Batcher, Upgrades, PublishAsHidden, URL (Multi-language), Twitter Feed Markup, Email Obfuscation (EMO), Login History, Selector test. During development the Processwire forum is really helpful and checked often. The forum is good for two reasons, most of the questions, I had during development of the site, are already on the site. Secondly the only 6 questions I posted over the last 2 years, are quickly and accurately answered. The downside I didn't become a very active member on the forum but see that as a compliment. An open issue on the acniti site is the AMP contact form with Formbuilder, the restricted usage of java-script for the AMP specification requires some more in-depth study. For the hosting services the acniti site uses Amazon EC2, I use AWS already many years to manage my cloud office so it was easy to decide to use it for the web hosting as well. 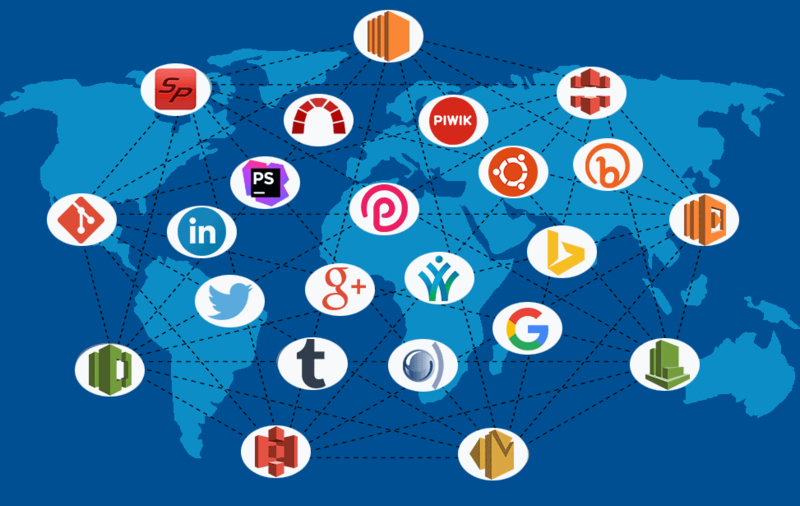 The site is running on a micro instance of EC2 and with the ProCache module CloudFront is serving webpages worldwide fast. Updates from the development server are sent to CodeCommit and from there to the production server. From a site management point of view it would be nice to use AWS RDS to manage the MySQL databases, but from a cost perspective I decide not to do that for now. Via a cron I have set up automatic MySQL backups and these are via another cron job uploaded to AWS S3. To make sure the server is safe, a cron job runs daily snapshots of the server, this is getting initiated via AWS Lambda. Lambda also removes older snapshots because during creation a delete tag is attached for sevens days after their creation. It's important to make a separate MySQL backup as with snapshots the database often gets corrupted and its easier to restore a database backup than to fix a corrupted database. Another nice feature to use AWS Lambda for is a simple HTTP service health checker, which reports to you by email or sms when the website is down. Making use of all these Amazon services cost me probably somewhere between 10 - 15 $ a month, I have to estimate a little since I am running a lot more things on AWS than only the website. The site is running on a Comodo SSL certificate but next year I will change to the free LetsEncrypt, as it is easier to add and will automatically renew after 90 days. The Comodo certificate requires manually copy pasting and editing the certificates in place. Now the site is running, it needs promotion. The robots.txt files shows the search engines the way as does the sitemap.xml both of these I have made in a template file. Most of the blog articles I promote are republished on social networks like, LinkedIn, Tumblr, Google+, Twitter, and some branch specific networks as the Waternetwork and Environmental XPRT. To check, the search engines index the site well, Google webmaster and Bing webmaster check for any problems with the site. For statics on the same server there is an instance installed of Piwik. Piwik is a leading open alternative to Google Analytics that gives full control over data. The Piwik setup works very well and gives a good overview of the site usage both on the desktop via the site or via a mobile app. As a part of a test I have installed the open-source SEO-panel on the same server to manage keywords and to further improve the scores in the search engine, a nice feature is that you can also track your competitors. I am still new to SEO panel and have to learn more how to use the tool effectively.